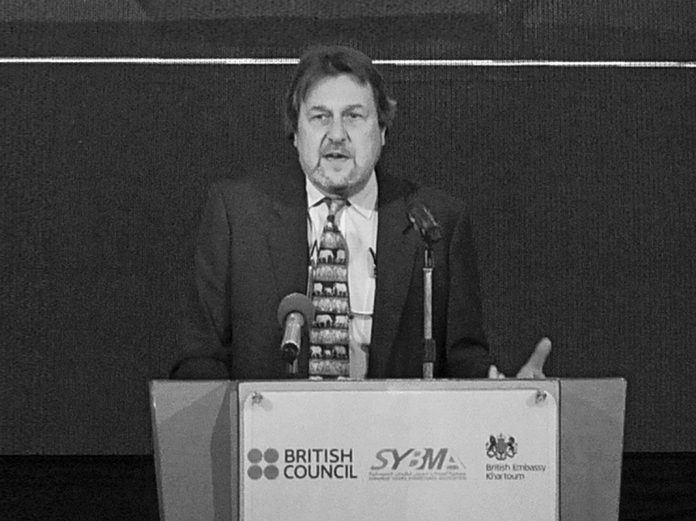 LE: Please give us a brief overview of the activities of the British Council in Sudan. CN: This is a country with incredible potential, and I think its people are as much a part of its potential as any of its resources, but it is a country with challenges. When I look back at my four years here, we in the British Council have done some amazing things. We have a varied portfolio of engagements here in Sudan. As a cultural relations organisation, this is a very good market, because there is lots of cultural engagement to be had. Sudanese are immensely cultural people and are very proud of their culture. There are fantastic traditions in music, performing and plastic arts, and in painting and ceramics. We get involved across that whole palette. Creative entrepreneurship is one of those involvements, but we also work with the media on capacity-building projects. We have been working with young people in Sudan, South Sudan and Ethiopia, in the Youth Leadership Programme, which is funded by the European Union. We have a global project in partnership with the English Premier League, which is called premier skills, where we train community football coaches. We bring coaches out from the big clubs in the UK, and they train community coaches who use the team spirit of football as a vehicle for developing social action projects, youth leadership, English language skills training, and all sorts of things to create community cohesion. This is to bring the fractured society closer together, and football is a great unifier, so that project is very exciting. We have another programme called connecting classrooms, where we connect about 200 schools in Sudan with schools in the United Kingdom and third countries, trying to give young Sudanese in a rural secondary school a window on the world, to see beyond the horizon. Thinking about global citizenship. Those are the kinds of things we do, and in a country like Sudan, the potential and demand for our work is enormous. Our engagement with the private sector is that companies fund the projects they find interesting and find added value for their country and business. We think, and the private sector companies support us in this, that creating entrepreneurship is potentially a route through which these people can contribute to society and make a living for their family. At times it has been challenging, but the British Council has done some extraordinary work here, with fantastic partners on the ground. LE: How do you allow partners to access your global network? CN: While we operate in 110 countries, we have a presence in 19 in sub-Saharan Africa and we work in about 26. One of the biggest challenges for us is to get people to think cross- border. When you talk to Sudanese businessmen, for example, they may have multinational connections, but their focus is on Sudan. To try to get businessmen to fund projects in other countries is difficult. So I have talked to our industry partners about broadening outside, let’s say, the borders of Sudan, but the only initiative at the moment that we are supporting and that involves more than one country is funded by the European Union, and not by the private sector. Our purpose today remains exactly the same as it was in 1934. We are here to create a friendly understanding between the people of Sudan and the people of the United Kingdom, in the belief that intercultural dialogue and engagement across cultures ultimately leads to trust and friendship. What we do is build relationships between people and communities.